Disclaimer: I received product samples in exchange for this post on The Eclectic Element. All thoughts and opinions expressed below are 100% mine and mine alone unless otherwise stated. Please do your own research before committing to purchase a service or product because your opinions may vary. Back mid-April, I was lucky enough to be invited to attend the Gluten Free Allergen Free Expo when it made a stop in Shaumburg, Illinois on the outskirts of Chicago. Being sensitive to wheat, gluten, and a few other odds and ends, I know the importance of finding healthy food that I can actually consume without worrying about a reaction and there were so many booths at the expo representing their gluten free, allergen-friendly, and most important of all, healthy goodies! One of these companies was Grab the Gold, a gluten-free healthy alternative to your regular run-of-the-mill energy bar. 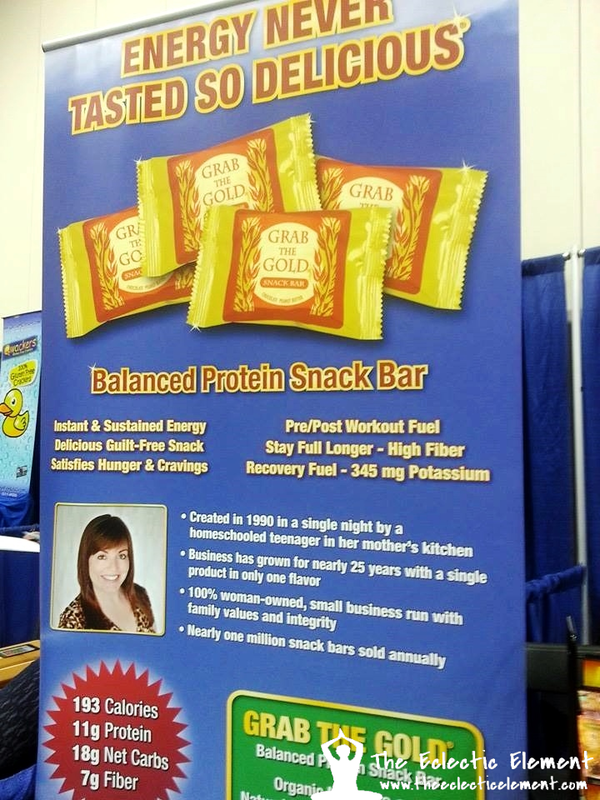 "Grab The Gold Snack Bars were created in a single night by Danielle Ontiveros when she was just 16 years old while looking for a breakfast alternative back in 1990. For the last 25 years, the company is proud to be a small, woman-owned business run with family values and integrity!" I was actually privileged to meet the CEO and founder of Grab The Gold, Danielle, at the expo and she could not have been nicer! Learning about how she came up with the recipe for these bars so many years ago to being the owner of a thriving woman-owned business now was incredibly uplifting and inspirational to say the least. 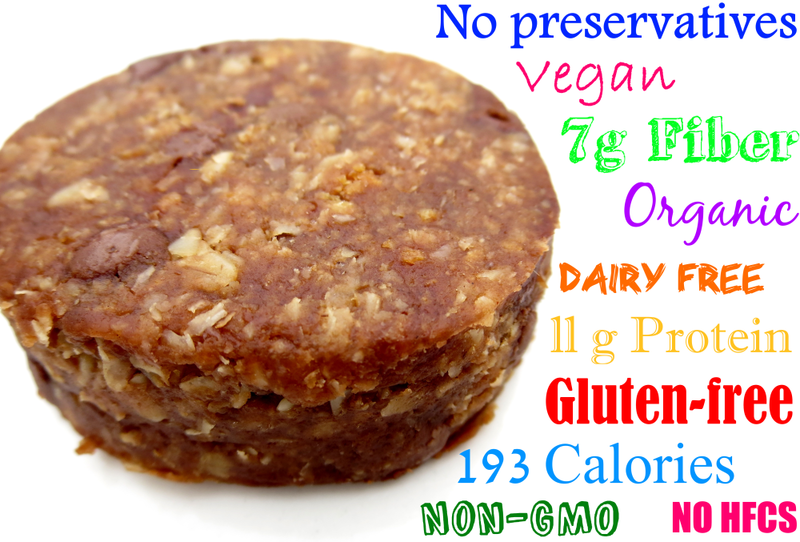 I also got to learn all about the bar itself; touted as having a 'delicious no-bake cookie taste', this single flavor natural peanut butter and chocolate balance protein snack bar is said to satisfy hunger and cravings and give you an instant and sustained energy boost, perfect for any pre/post workout snack with its 11 grams of protein, 7 grams of fiber, and 345 mgs of potassium! I unfortunately have not been doing very well health wise so I did not get to test out the pre/post workout snack option, however I've grabbed it on several occasions when I needed a little something quick to tide me over and/or get rid of my sugar cravings since I'm still struggling with maintaining my daily sugar intake. 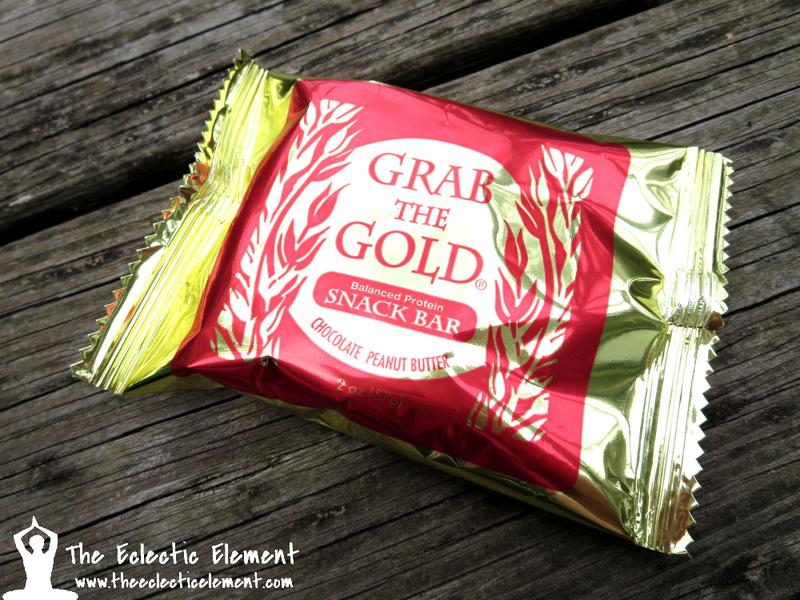 When first trying the snack bar, I definitely agree that it does have a no-bake cookie taste to it and the flavor combination of chocolate and peanut butter was sweet enough to satisfy my ever-constant nagging sweet tooth. While I enjoyed the flavor and the health benefits associated with this product, I was not a big fan of the energy bar's gritty texture, so that made it harder for me to enjoy. 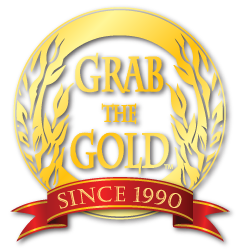 If you take a look on the Grab The Gold Storefront, you'll find several buying options to chose from if you're interested in trying out their energy bars! Not sure if you'll enjoy the product so a little hesitant on spending money on a box of 12 bars just to find out you're not a big fan? Not a problem, you're able to buy a single sample bar for $2.49 with shipping and handling. Seems like they thought of everything! It is nice that you are able to purchase one to taste because if you don't like them having a whole box investment would be a waste of money. I like the taste of cookie dough to be sure but like you I am not sure I could get past the grittiness. Okay, it looks healthy, but it also looks delicious. I'm curious to how noticeable the texture is, a few vegan things I've tried have had similar consistencies so I don't think it would bother me much. Thanks for showing a picture of the product! I wasn't sure what it would look like inside that pretty wrapper. What an interesting story behind this product. I love to see small businesses succeed. Sounds like a bar I'd like to try. And we are like blogging neighbors! I'm near the Schaumburg area to!! Do these taste good warmed up in the microwave or toaster because they look awesome. You always make such a informative review on your products. These sound so good especially warmed up a bit, and let's not forget a cold glass of skim milk for me or hot coffee. mmmm Thanks for sharing. I work at a health club, where these are sold. They are very good, and have just the right amount of chocolate to satisfy my sweet tooth. I would definitely recommend!